Made of ASTM A240 Tp304 stainless steel sheet, with rounded bottoms, standing on stainless steel legs with adjustable feet. This vinifier enables the must to be kept in motion by the slowly rotating blades, so as to punch down the cap without damaging the grape marc. 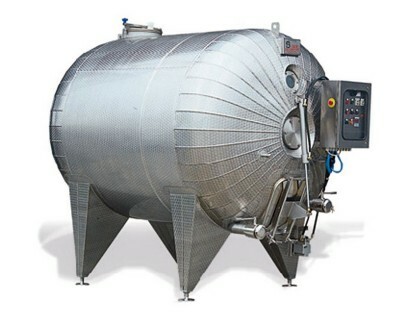 The temperature of the product is checked on the cylinder so as to ensure a perfect fermentation process.